FiSK Seafoodbar & Market is a new dining and retail destination at the compound of recently opened Novotel on Stevens Road. 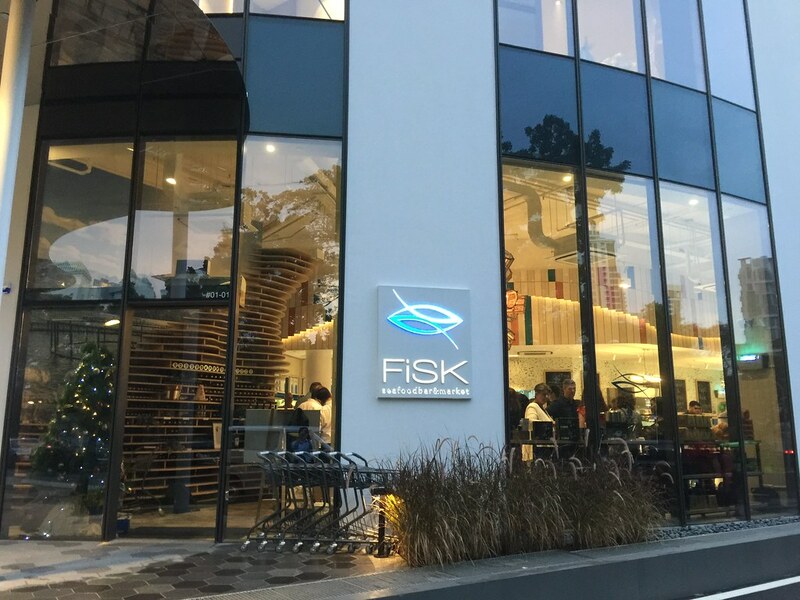 FiSK is the Norwegian term for fish, a fitting name for the new seafoodbar & market, which is the brainchild of Frank Naesheim, Founder and CEO of Snorre Food, specialising in distributing quality Norweigan and coldwater seafood in Singapore and Asia. Skipping the retail space, we dive straight to the dining experience. We started with the Fried Herring ($3.50/pc). A light and delightful starter with dill-marinated pickled Norwegian herring encased in a sourdough batter, topped with sour cream, dried dill powder, lemon zest and lemon thyme. 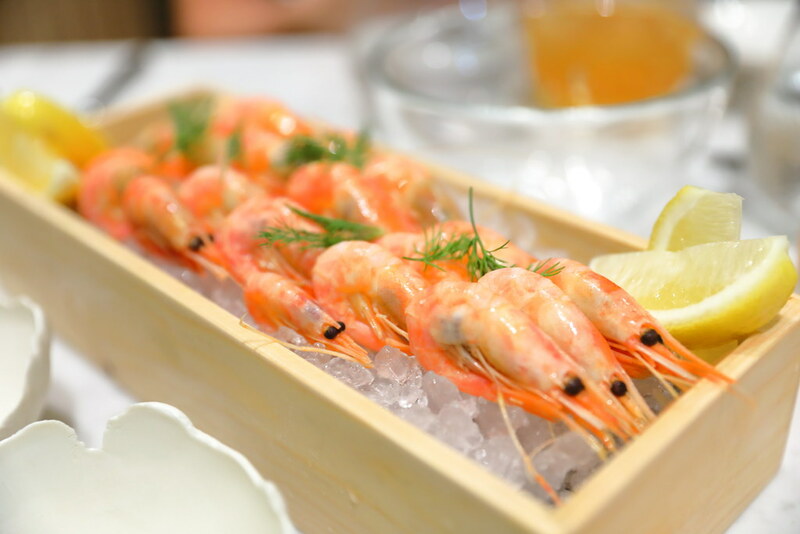 From the Norwegian cold water, the Prawns On Ice ($6/100gram) although small in size, is firm, juicy, delicate and sweet. I think I can end up eating the whole bunch on myself. By the way, this is only available for lunch. Available for lunch is the Open Face Smorrebread Sandwich ($6/pc) with a vary selection of toppings on top buttered rye bread. During my visit, I had Sichuan house-smoked Norwegian mackerel, trout roe, hard-boiled egg, sour cream, frisee and fresh dill. 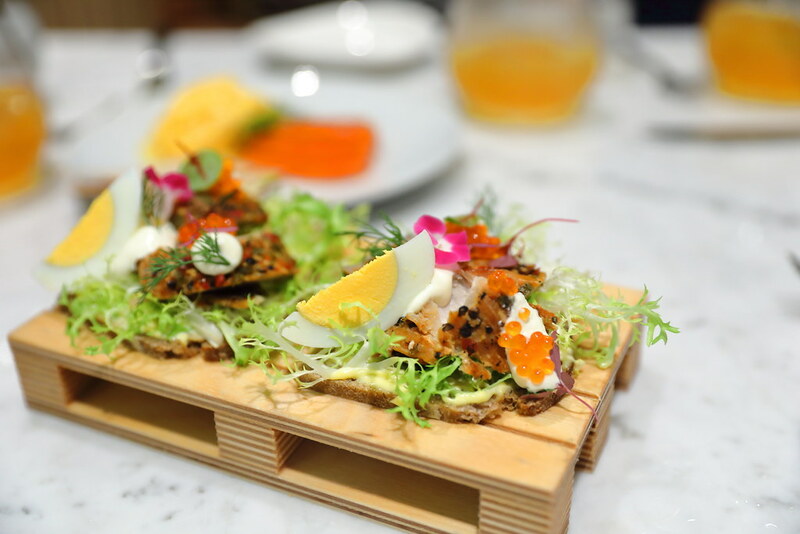 Do note, the topping varies from coldwater prawns, smoked mackerel, pickled herring, hard-boiled eggs, salmon tartar, trout roe, caviar, pickled onions, Norwegian mayonnaise and more. 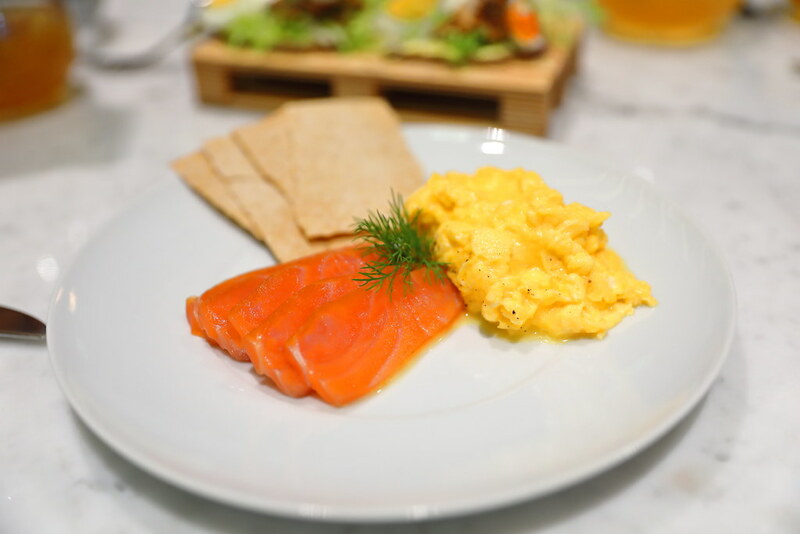 The Smoked Salmon, "Pulpit Rock" ($18) comes with house-smoked Norwegian salmon, housemade flatbread, scrambled eggs with chopped chives. Nothing fancy but I really enjoy the creamy texture of the scrambled eggs. How I wish I can cook my eggs as good as this. Using a combination of two different base stocks from fish bones and shellfish, is the Creamed Fish & Shellfish Soup ($7.50 Half/$12.50 Full). Cream and tomato paste is added for the finished product, finished with a drizzle of olive oil and sprig of dill. 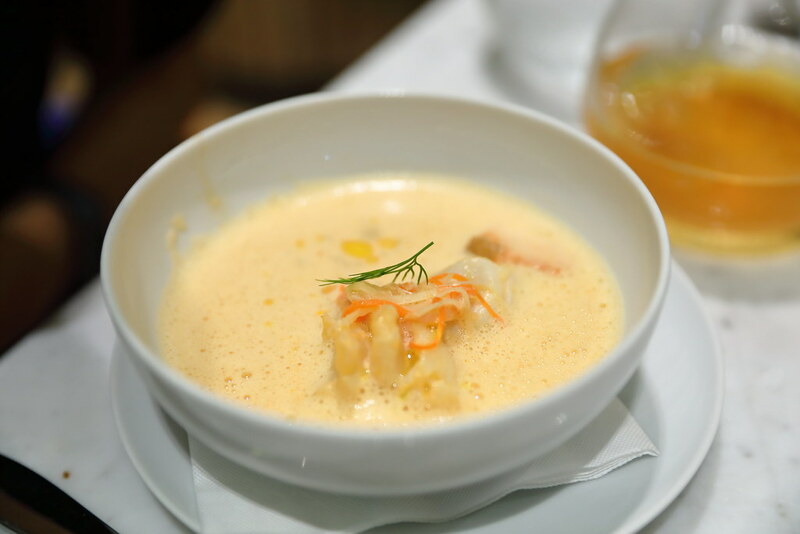 In the bowl of creamy and comforting soup, you can find Altantic cod, Norwegian salmon, coldwater prawns, carrots, celeriac and leeks, bread and butter.. The Atlantic Halibut is available as part of the dinner set menu. 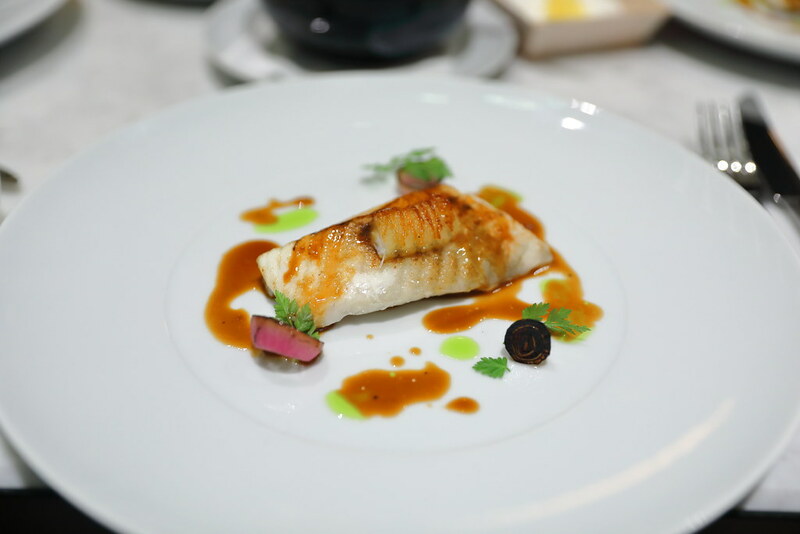 The moist piece of halibut is paired with a blend of foie gras, red wine and beef bone sauce. I felt that the sauce has brought out the best of the piece of fish, swimming in the calm sea, just like the clean tasting dish. 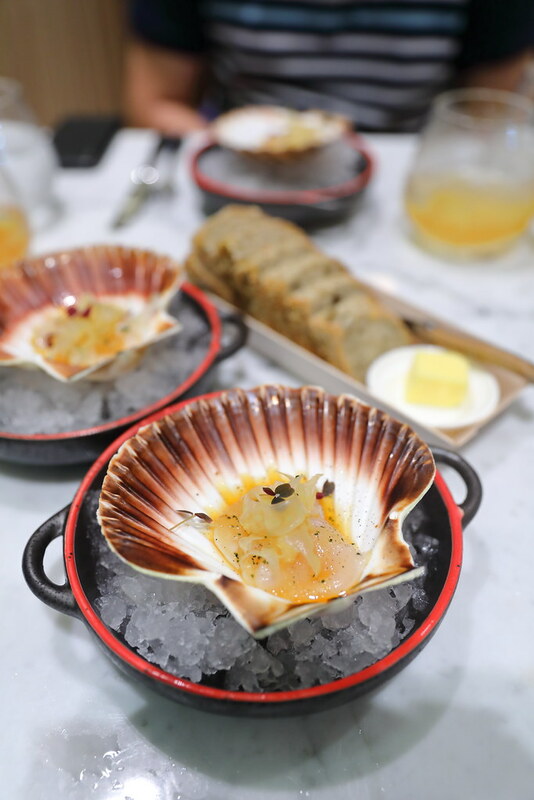 The Raw Hand-Dived Scallop ($29) is sliced into thin strips and dressed with a juniper and calamansi gastrique upon order. The accompany sauce works beautifully with the scallop. However I still prefer my scallop as a whole rather than strips. The pretty dessert, Sour Cream Mousse ($14) is made from whipped sour cream, whipped cream and Italian meringue, mixed with lemon juice and gelatine. 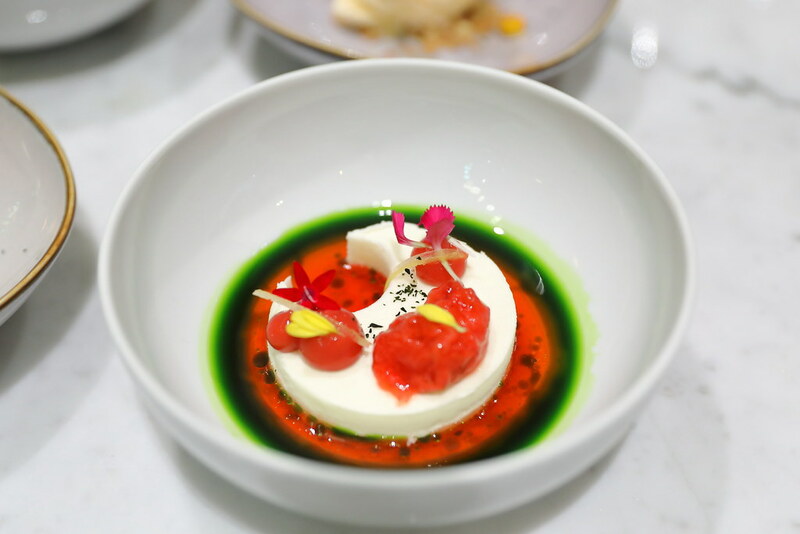 It is paired with strawberry consomme, strawberry jam, preserved lemon and basil oil. The combination can be a but unusual and I needed a few more scoops before accepting it. 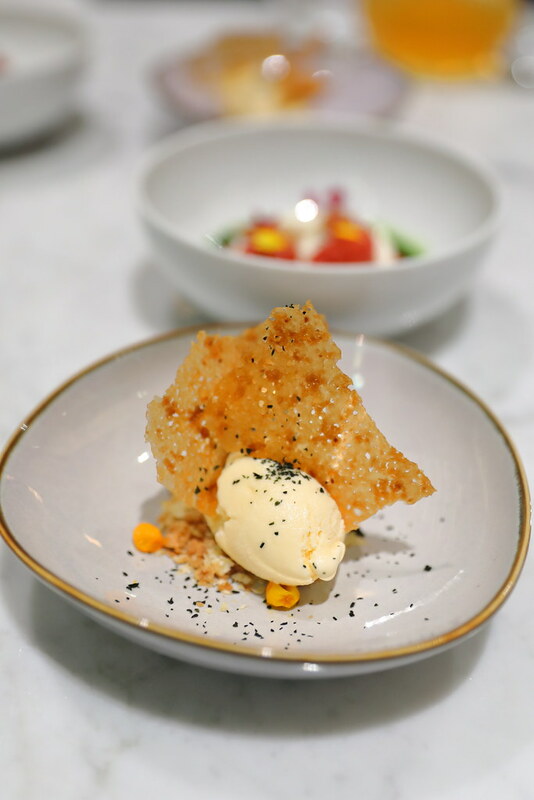 You probably have tried many different flavours of ice cream or gelato but have you ever tried Uni Ice Cream ($16). The uni ice cream is made using neri uni (preserved salted uni) from Japan, together with cream, milk and tapioca starch. I enjoyed the salted taste of the ice cream, and I thought the uni flavour can be richer. 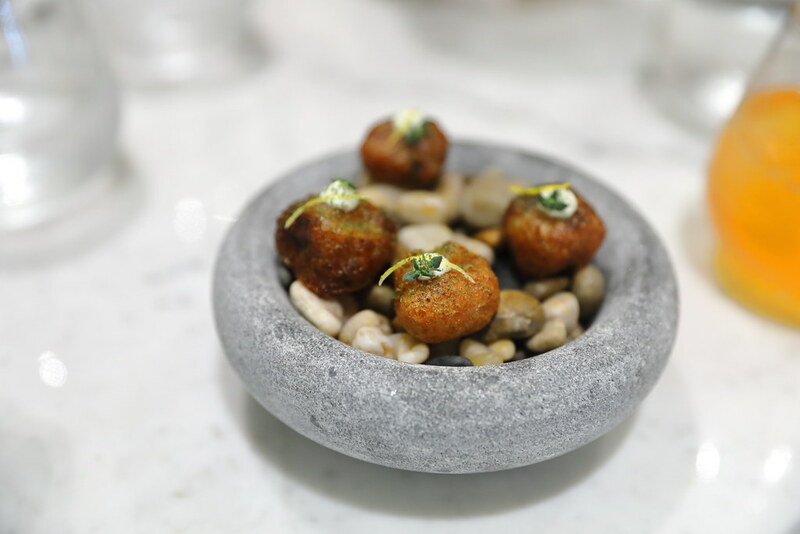 FiSK Seafoodbar & Market is the new consumer-focused destination for lovers of quality seafood that combines dining and retail in a single seamless ‘Seafarer to Chef’ experience in the heart of the city.